Welcome back, you fabulous thing, you! 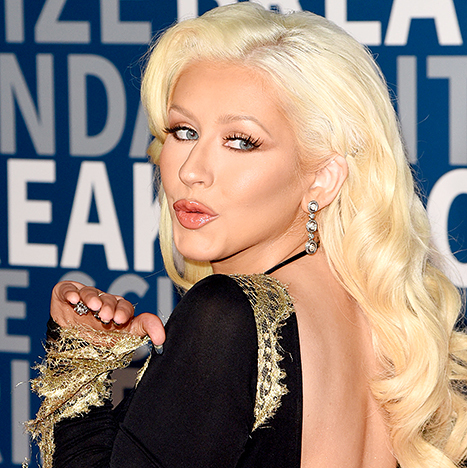 Christina Aguilera hit the red carpet for the first time since April at the 3rd Annual Breakthrough Prize Award Ceremony on Sunday, Nov. 8, in Mountain View, Calif. And naturally, the powerhouse diva showcased her assets for the occasion. The Voice judge, 34, who welcomed her second child, Summer Rain, in August 2014, wore a cleavage-baring black dress with gold embroidery and a slit up the front. She also rocked peep-toe ankle booties and dangling earrings. Bouncy, Old Hollywood-inspired curls and a sun-kissed makeup palette, including a caramel-colored lip, completed the look. And she wasn&apos;t alone! The blonde bombshell was joined by her partner of four years, Matthew Rutler, who, alongside the songstress, landed at the event via private jet. The film producer cut a fine figure in an ebony tuxedo, which he paired with a bow tie and high-shine shoes. 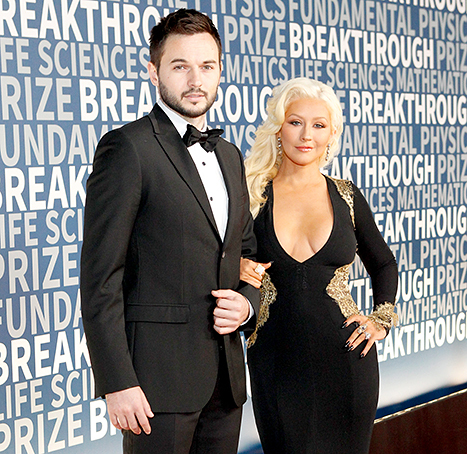 Aguilera was on hand to help present the seven $3 million prizes, which were awarded to those who made "important, primarily recent, achievements in the categories of Fundamental Physics, Life Sciences and Mathematics." Clearly humbled by the experience, the "Beautiful" singer shared via Instagram, "Honored to celebrate such beautiful minds tonight at the #breakthroughawards."